Hello Code Clubbers! We hope you’re enjoying a very sunny and happy July. It’s all things go here at HQ and around the UK; Wales’ first Code Club meetup is next week, so we thought it would be an excellent idea to introduce you to Craig Thomas, the new regional coordinator. You can book your (free) tickets here, and check out Craig’s hello below! Hi! I’m Craig, Code Club’s regional coordinator for Wales. Keeping it short and sweet, my background is mainly as a web developer with 10 years experience in personal, open source, and voluntary projects in and out of industry. I’d say I’m a good example of where coding as a skill can take you as I’ve held many cool titles and regularly travel for hackathons and digital events. Other than industry, I also run an initiative called “Silicon Valleys” aimed to improve digital literacy, as well as my own business in Cardiff Bay which I absolutely love! All this is made possible through my ability to code, and a passion to learn. I’m extremely eager to coordinate Code Club in Wales as not only do I appreciate coding as a skill, but more importantly, I wish something like this existed for me when I was in school. For that reason, I essentially see my job title as “Don’t let Welsh children grow up wishing they had a chance to learn code in school” and that’s what I’m going to do! What I’m looking to do now and in the near future is fully audit where we are in Wales in regards to clubs and volunteers and begin to reach out to you all. If you’ve had any Code Club involvement and registered with us in Wales, you should have received an email from me recently (and if you’ve not registered yet, go for it now: https://www.codeclub.org.uk/register – you’ll be on my radar!). Other than that, I’m also in the midst of setting up what I believe to be Wales’ first Code Club meetup – so keep an eye out for that too. 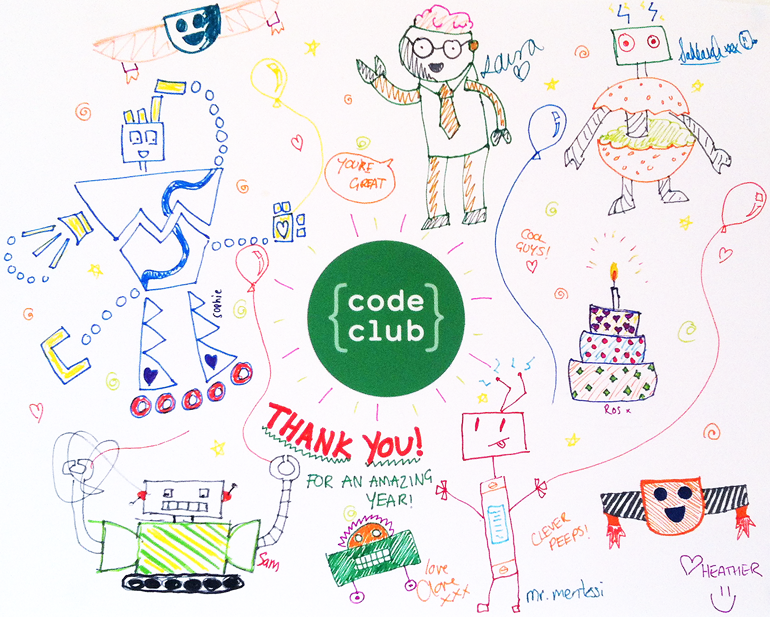 If you’d like to meet up for a chat and have any involvement (or would like to get involved) with Code Club in Wales, drop me an email at wales@codeclub.org.uk or tweet me @tinybigideas – I’d love to say hello!